As someone who enjoys lists, Wine Spectator magazine’s annual release of the year’s most exciting wines is highly anticipated, providing a plethora of information on current trends and vintages, both domestic and throughout the world. Stories boasting the quality recent vintages for Sonoma County, Napa Valley, France’s Rhone Valley and Tuscany played out through their dominance on the list, generating nearly half the wines. The prestigious top ten wines included two pinots from Sonoma, an exciting new Napa Valley cabernet sauvignon, three French and two Italian blends. 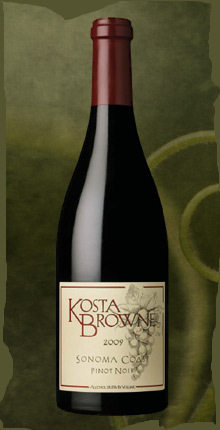 No stranger to the list during the past decade, the Kosta Browne Pinot Noir Sonoma Coast 2009 ($52), a wine for which I am very familiar, was the WS “2011 Wine of the Year”. The story of the emergence of Dan Kosta and Michael Browne as premier producers of pinot noir is not one of pedigree or years of apprentice in the region of Burgundy. It’s simply the story of a couple of guys with nothing but desire, who plunged into winemaking and learned as they went along to ultimately discover their identity in the depth, richness and elegance usually distinguished in the great Burgundian treasures. In 2011, Kosta Browne produced 11 pinots, most exclusively from esteemed vineyards such as Amber Ridge and Kanzler in the Russian River Valley. With all the leading single-vineyard releases, ironically, the top wine combines grapes from three different vineyards near the northern Sonoma coast and is, at $52, one of their most moderately priced wines. Not new to the WS list, this is the third vintage to reach the top ten since 2006. Although my two bottles will remain in rest for at least another year, I have enjoyed the last five vintages and found extraordinary richness, “heavy on the tongue” creamy texture, concentrated, candied flavors and long finishes with each. For those of us that follow California Pinot Noir, this 2011 coronation for Kosta Browne was only at matter of time. There were eight representatives from the pinot noir varietal, five from Sonoma and three from Oregon. Senior editor James Laube foreshadowed great results when he named the 2009 vintage California, especially Sonoma County pinot noir as the decade’s best; possibly the best ever. 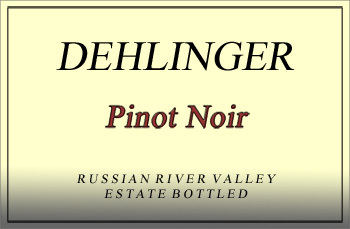 The top ranked of the varietal all had ratings of 94-95 pts and all cost about $50, including the Dehlinger Pinot Noir Russian River Valley 2008 (95pt/$50) from a well-respected Sonoma winemaker with a reputation for producing very fruit forward, graceful wines. The Domaine Serene Pinot Noir Dundee Hills Grace Vineyard 2008, from the Willamette Valley in Oregon was the highest rated at 97 pts, but was ranked #85 because the $125 price made it much less exciting. 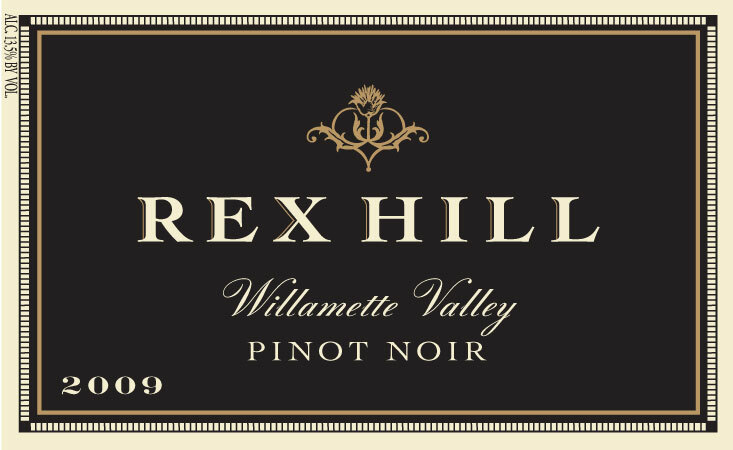 I was pleased to see the Rex Hill Pinot Noir Willamette Valley 2009 (93pt/#38) on the list. 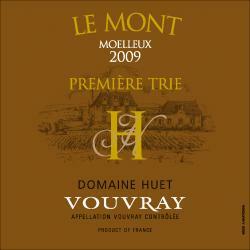 They are very serious, hard-working winemakers and have released many nice pinots over the years. The US contributed 41 wines, 28 from California, followed by exceptional vintages from Tuscany and France’s Rhone Valley, regions also rewarded with good recent vintages. Outside of California, Washington state, continuing to emerge as a region of good quality and diversity, landed seven wines, Oregon four, New York state and New Mexico, one each. Truth or Consequences, New Mexico. The Gruet family has planted pinot noir and chardonnay grapes at very high altitudes to bring into being the Gruet Blanc de Noirs New Mexico, scoring 90 pts from WS and retailing for $14 a bottle. This sparkling release has generated enough curiosity to be ranked as the 43rd most exciting wine. With 20,000 cases made, it shouldn’t be too hard to find. Once again, the Paso Robles region had respectable representation on the list, with the 2010 “Wine of the Year,” Saxum James Berry Vineyard Paso Robles 2008 (97pt/$75), returning at #52. Although it had a similar “off the charts” rating with a slight price increase, it is difficult, if not nearly impossible, to generate that much excitement for more than one year. Known for sourcing grapes to other winemakers, the 126-acre Denner Vineyard produced the Syrah grapes for the Denner “The Dirt Worshipper” Paso Robles 2008 (97pt/$45), the highest ranked Paso wine at #11. At this point, it is intriguing, but scarce. Tablas Creek, a winery whose Rhone blends like the “Espirit De Beaucastel” are regulars on the list, placed the Tablas Creek Cotes de Tablas Paso Robles 2009 (93pt/$30) in the 37th spot. This Grenache-dominant blend with Syrah, counoise and mourvedre is fermented and aged in the French style and has the consistent quality expected from a pioneer of California Rhones. Cheers for the Grenache grape; a dominant component of 10 wines on the list, four from the Golden State and six from the Rhone Valley. create, as experts claim, a beautifully balanced, fruit forward white wine. Washington State repeated an excellent 2010 performance with the inclusion of seven wines, all within the top 50. A nice balance of red wines including three Cabernet Sauvignon, two syrah and two Bordeaux blends illustrates the diversity of the great Pacific Northwest, also known for the production of Riesling. The magazine placed the Baer “Ursa” Columbia Valley 2008 (95pt/$35), the winery’s signature merlot/cabernet franc blend, as #6, noting its consistent richness and clean flavors. In addition to the “Ursa”, wines like the Efeste Syrah Yakima Valley Jolie Bouche Boushey Vineyard 2008 (95pt/$36)have shaped Washington’s character in producing high quality at moderate prices. This syrah is very intriguing, but with only 385 cases made, it will be nearly impossible to find. There are some California wines that deserve specific mention. Recently, I had an opportunity to enjoy a Merry Edwards Sauvignon Blanc Russian River Valley 2009 (93pt/$30) paired with a wonderfully rich butternut squash soup with crème fraiche. A recurrent member of the annual list, this is one of the best food white wines out there, always expressing layered flavors and a trademark long, rich finish. I am partial to Santa Cruz Mountains wines, having grown up among them. This is one reason it’s nice to witness the Mount Eden Vineyards Chardonnay Santa Cruz Mountains 2007 and 2008 (95pt/$55) being honored in the top 20 in back-to-back years. Coastal influences, great low-yield vines from historical vineyards and oak influences make for a great wine in most years. In 2010, the well-textured Hall Cabernet Sauvignon Napa Valley 2006 was, at $40, one of the best values on the list. Following early “buzz” upon its release, the Hall Cabernet Sauvignon Napa Valley “Kathryn Hall” 2008 (96pt/$90), named for the co-founder, was designated as the #2 wine in 2011. I had the opportunity to taste the 2007 vintage and, although a bit pricy, it is definitely a collectible if it can be found. Tuscany contributed half of the Italian wines, most notably a classic Campogiovanni Brunello di Montalcino 2006 (96pt/$50), aged four years before release. This wine may be available at K&L Wines/Hollywood in the near future. With yet another example of Portugals’s port producers branching out to other reds, the Quinta Do Vallado Touriga Nacional Douro 2008 (95pt/$55), designated in the #7 spot, is a rare single-varietal (touriga nacional) wine from the north’s Douro region. Another significant part of each year’s top wines list is who is not represented. After resurgence the last few years, Germany listed only one Riesling and regulars, Australia and Bordeaux just two wines each. The safe bets among 2011 releases will come from Sonoma County, Tuscany, Washington State and the southern Rhone Valley. The 2011 list clearly illustrates California’s prominence in the production of great wine. With each new year, winemakers will monitor the weather and the soils as they care for their vines. However, it is certain that the California “terrior” and passionate vintners will continue to prevail to create sensory wines in the grand appellations that serve them. Best to all in 2012! This entry was posted on Tuesday, December 13th, 2011 at 5:54 am	and posted in Wine. You can follow any responses to this entry through the RSS 2.0 feed.